Eric and his team were highly professional and extremely supportive throughout the entire process. My husband and I had not sold a home in over 35 years. Eric held our hands through the entire experience, from explaining the industry to signing our closing documents. Prior to listing Eric paid for a staging company to help us winnow down our possessions, ensuring that our home looked sparkling clean and showed beautifully in the professional photographs and video. His lovely wife, Amy, constantly monitored internet activity for interested parties. They pursued every avenue to sell our home within weeks of listing and in the off-season to boot. I would recommend him to anyone looking for an agent. This process couldn't have gone better and that is all down to Eric and his team. We used Eric to sell and buy our house and I can’t say enough positive and wonderful things about the team of Eric and Amy. If you are looking for a professional real estate agent who understands the local market then there is no need to look beyond Eric. He literally knows everything about Urbana and the surrounding community and has his hand on the current pulse of the market. From the professional staging and photography to his low pressure sales approach, it made the entire process seem like a breeze. He was always available to see houses on our schedule and took the time to point out key differences and features in each house. And to top it all off, he is an expert negotiator and was able to get maximum value on the sale of our home. I highly recommend Eric to any looking to buy or sell a home. Working with Eric was a delight. I was a clueless first time home buyer and Eric patiently walked us through the entire process and patiently answered our hundreds of questions. My fiance first started looking at condos four years ago, and never ended up buying; Eric showed her lots of them. Four years later we were ready to buy a house and took us around for several days until we found one we liked. It took four years for him to make a sale to us - if that's not low-pressure, I don't know what is. Eric was incredibly responsive, answering texts and emails at midnight so we would have an informed answer immediately, without any delays. When I am ready to sell our house and upgrade to something bigger and better, I will 100% be calling Eric. Eric is a one of a kind agent! He is not the prototypical real estate agent, he goes above and beyond every step of the way during the buying and selling process. I really cannot thank him and his team enough for what they have done for us. True professional and truly THE BEST AGENT in Frederick, maybe Maryland. He is prompt, kind, personable and professional. He sets the bar extremely high and delivers outstanding service. If you want an agent that will work with you and be invested in you, Eric Steinhoff is the agent you need to sell or buy your home. Thank you Eric! My 96 year old mother's house was sold in two weeks by Eric and Amy Steinhoff. They were so very kind and patient with her from the beginning to the end of the sale. The settlement went quickly as well, so her experience with the both of them was super. They have sold many homes in the Highlands and the Villages and they were able to sell hers in Gaithersburg as quickly as this area. Eric was attentive to the specific needs of our property and identified options and buyers who would best fit those needs. He delivered results and was great to work with. We heard wonderful things about working with Eric Steinhoff prior to meeting him but what really sealed the deal was his knowledge of the very specific market in our area for our home type. He educated us about the challenges of selling our home at the best price possible and laid out what he would do in very specific terms. He was very engaged, never rushed and brought a lot of energy to our sale. Amy was wonderful. She staged our home, was always available to talk us through next steps and was friendly and professional. I would work with them again in a heartbeat and recommend them readily. The most kind and helpful agent and broker I have dealt with. Couldn't get ahold of Eric one time during a contract and called broker. The broker took all my information and tried everything he could to help me gave me the best advice he could give in the situation. Both are a great team. 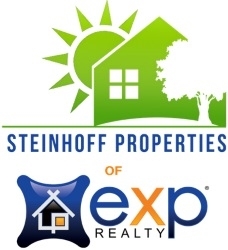 Eric Steinhoff is highly efficient, honest, proactive, dynamic, sincere, and friendly real estate professional with very good local knowledge. He helps his customer to take right decision on right time. He takes care of home decoration by professional expertise. He is very quick responsive anytime, whenever, customer needs his services. His professional attitude is highly appreciable. I highly recommend him to be your real estate agent. Eric spent time learning about our needs then showed us house after house until we found the right one. To make things even better, he got our existing house under contract in just one day of having it on the market. Mr. Eric Steinhoff and Jacob Saltzman are simply the best. They made everything so easy for my family to buy a house in Urbana, MD. I'd highly recommend to anyone whose looking to buy a house. We worked with Eric and Amy Steinhoff twice. We were looking for a house in Urbana, MD area, and Eric was extremely knowledgeable about the housing market in Urbana, and its associated school system, and living environment. After talking about our criteria (for a house) and the down payment we had, Eric recommended the suitable options to us. He went extra mile to negotiate with the seller on our behalf, and we bought our house after six weeks. I then had a job transfer to mid-west. I enlisted Eric again to sell our house. Eric did a superb job marketing and staging our house. We moved out in late-November. We got two offers in late-December, and sold the house in January. Eric is a miracle worker. He is honest, sincere, knowledgeable and professional. You cannot go wrong with Eric as your agent, buying and/or selling! I relocated to Urbana from Connecticut for work. Eric was great at listening to what I wanted in a house and found me the perfect house in the perfect location for me and my kids. Eric was able to negotiate a great price and connected me to trustworthy professionals (house inspector, title company, mortgage broker, contractors, etc.) to complete the purchase and get the house ready for my family. Eric is a great realator but he goes above and beyond just finding your home. He connected my daughter with the high school volleyball coach and took time to show me around the community and introduce me to people. This was really helpful to me. So, if you are looking for a new home, pick up the phone and call Eric, you won't regret it. If you are looking for a home in Frederick County - particularly Southern Frederick County - you should work with Eric or his team. We bought a townhome in the Villages of Urbana in 2007, immediately before the market began trending downward. Due to market conditions and our loan product, we were unable to get "right-side-up" for quite some some. During that time we took the opportunity to educate ourselves about the homes available in the community and local pricing trends. Our friends repeatedly referred us to Eric as the ONLY person to work with in Urbana. Although we were not in the position to buy, we met Eric at an Open House, and he took the time to talk with us and educate us about the process. We had met other agents in the neighborhood, but they either applied too much pressure, or simply told us to reach out when we were ready. I do not know any agent who would have dedicated so much time to buyers who could not yet afford to be serious. Without the advice provided, our growing family may have remained in a home too small for our needs, or been forced to leave the community we love. Over the course of four years, Eric showed us homes, provided advice on our home improvements, waited for us to refinance, and eventually assisted us in staging and listing our townhome in 2015. Eric was willing to show us any home in any location, but was helpful with feedback and opinions that assisted us greatly. After a brief search of two specific properties we were interested in, Eric showed us a home that we would not have previously considered. The home ended up meeting our needs perfectly, and our offer process was seamless. While working our new home purchase, Eric and his team worked hard to ensure that our townhome was under contract in less than two months at a dream price that we didn't think possible. Eric and his team went above and beyond for us repeatedly until everything worked out to our liking. You'd be remiss to work with anyone by the Steinhoff team in Urbana. Eric and his team listed our townhome, found a buyer, and completed the sale in a few short months during a difficult period when the townhome supply exceeded demand. Eric was recommended by my friend who bought a home in this area few months ago. Eric's coverage can be seen at most of the home listings in Zillow and Trulia too. Eric and Amy Steinhoff are very easy to work with. His knowledge of the neighborhood is significant and we received good advise regarding the variety of homes in Urbana. When we zeroed in on a home, we were worried that him being the sellers' agent too might pose some problems with negotiations. But the situation was handled professionally and the closing progressed very smoothly. 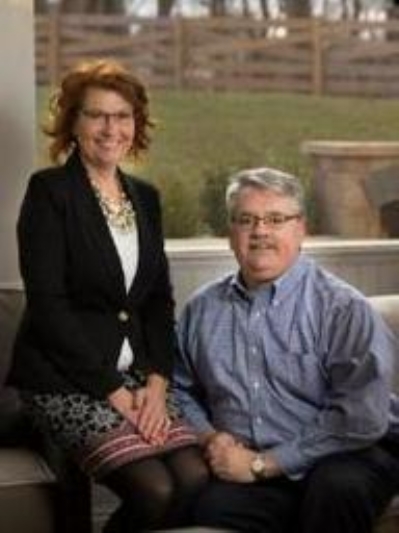 We would definitely recommend Eric and Amy Steinhoff for any future home buyers in this area. We were introduced to Eric and Amy Steinhoff through our children, whose Villages of Urbana Townhome they sold last spring. They also helped them buy their new single-family home in the Villages of Urbana last Summer. We were familiar with Urbana as we had lived in the Villages back in 2010, before we were relocated out of the area. We planned to move back to the area, and downsize our home, so we could be closer to our Grandchildren. Our price point was significantly lower than it had been for our previous purchases, and we were embarking on the sometimes difficult process of resetting our expectations from a rather large home to a smaller one. In addition, we needed a home that could accommodate my husband and I, my Mother, and two large dogs. As a result of our financial and unique needs, we cast a wide net and looked in a number of neighborhoods throughout Southeastern Frederick County. Eric worked with us tirelessly as we waivered on various communities, home sizes, distances from our Grandchildren, and other variables. He traveled extensively with us to see many different properties over three months. Although Eric was very knowledgeable about the Villages of Urbana, we were surprised to find that he also knew a great deal about other neighborhoods throughout the county. Eric continuously reminded us that he wanted us to end up in the right home for us and would be happy to write an offer on anything we wanted. We didn’t feel rushed in our decision, which was very refreshing. We ended up initially selecting a home that was in the short sale process. Unfortunately, the home was Under Contract before our offer was considered. Disappointed, we re-engaged our search and landed on a Bank-Owned property in the Villages of Urbana that needed a good deal of work. Eric helped us understand the market, evaluate the potential up-side of the investment, and come up with an offer we were comfortable with. The bank had numerous restrictions around the offer process that were difficult to navigate; Eric was a lifesaver. In our final walk-through, we discovered that there was a roof leak that had gotten much worse since we last saw the home. Eric helped us negotiate additional funding from the bank, on the day of the closing, in spite of the fact that the home was being sold “as-is”. The additional funds that Eric was able to get for us completely covered the expense of the repair. We got a great deal on the home, downsized, accommodated all of our specific needs, and have seen the value of our home significantly increase since we closed in January. We’ve had 13 homes in 9 states over the course of our marriage and working with Eric Steinhoff was the best real estate experience we’ve had yet. We highly recommend Eric for whatever your needs may be; he will get the job done. I have sold five homes in my life so far. The transaction with Eric was, by far the most stress free, professional, and satisfying of them all. Eric is a master of managing all aspects of the sale. He took exceptional care to make certain the house was priced correctly, marketed quickly, and presented to the right people. Consequently, we sold the home at the price we wanted, more quickly than we thought possible, and without drama. His exceptional knowledge of the Frederick / Urbana market and his straightforward, insightful, and dead on accurate communication made the entire transaction possible. Eric handled any problems that arose in the process quickly, without pretense or complications. He and his staff are a joy to work with, and i recommend him without reservation. In fact, I cannot imagine using any other agent in the Frederick area. He is just that good. Eric helped us with the sale of our home in the Villages of Urbana, and our relocation to another home within the Villages of Urbana. As we were relocating to our third home within the neighborhood, we have had previous experiences with sales within this neighborhood (and unfortunately used a different agent in the first sale). This sale (with Eric) was seamless compared to the transaction with the other agent, and I deeply regret not using Eric for every transaction. I greatly enjoyed working with the Steinhoff team. Eric was always available to answer my questions and to smooth the sale and purchase process. Eric sets himself apart from other agents by using his mastery negotiation skills, his wife's staging skills (Amy is a certified home stager), and his entire teams passion and determination to work their hardest to help the process. I would recommend the Steinhoff team to any prospective home buyer/seller within the greater Frederick/Clarksburg area. I knew Eric was the right person for us when he took the time to listen to why we were selling our home, what our short term and long term goals were and what we were looking for in a new home. He referred us to all the right people to get our house in order for sale, presented it beautifully in the flyer and was instrumental in negotiating the move out date which was tricky. Eric's partner, Amy, was fantastic at returning texts and emails promptly and was always there to let workers in when I could not be home. This team took care of everything including shoe covers for the showings so that I did not have to worry. It is white glove service like this that made selling and buying our home such a painless experience.